Cou Cou means side dish. It is made from cornmeal with the addition of okra, and sugar is added in some island recipes. 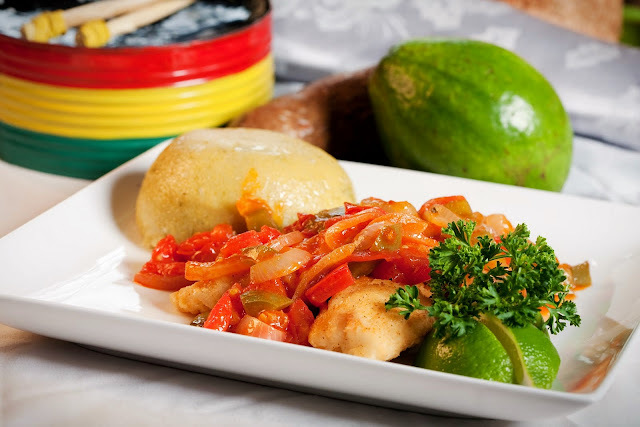 It is mainly served as a accompaniment to fish - in Barbados flying fish is used. Snapper fillets and any other fish can also be used in this recipe. Meanwhile add the cornmeal to a bowl and add the remaining 3 cups of cold water. Mix well.